The Moonshine is an all-round board that can be ridden by a wide range of riders…; Those progressing low intermediates wanting a fun, responsive, lively performer, that will be hard to stop riding,..; up to the expert wanting a full rail-to-rail screamer with all the performance traits of a comp board especially when ridden short, but with a wider nose that helps launch you into the heavy drops with ease. With the Quad set-up, this board gets in early and handles powerful pits and point breaks. The Moonshine has a mid concave nose into a deep concave centre with a double concave running though a moderate concave tail. The nose curvature keeps the nose clean in the late drops and pits while aiding in full railed turns to carve the board through the arc. The tail outline has a hip which acts as a pivot point for off the tail turns punching the board vertically and to whip the board around in off the lip. The depth of concave puts curve through the rail bottom, aids in lifting the board for early planing and makes a moderately wide board feel much narrower and flowing in rail to rail turns. The deep single with double concave in the tail creates a lot of contained squirt out the tail so the Moonshine has a great boost and lively feel. The Half Moon tail aids in direction and release for avoiding excessive skate and helps anchor the board in bottom turns. 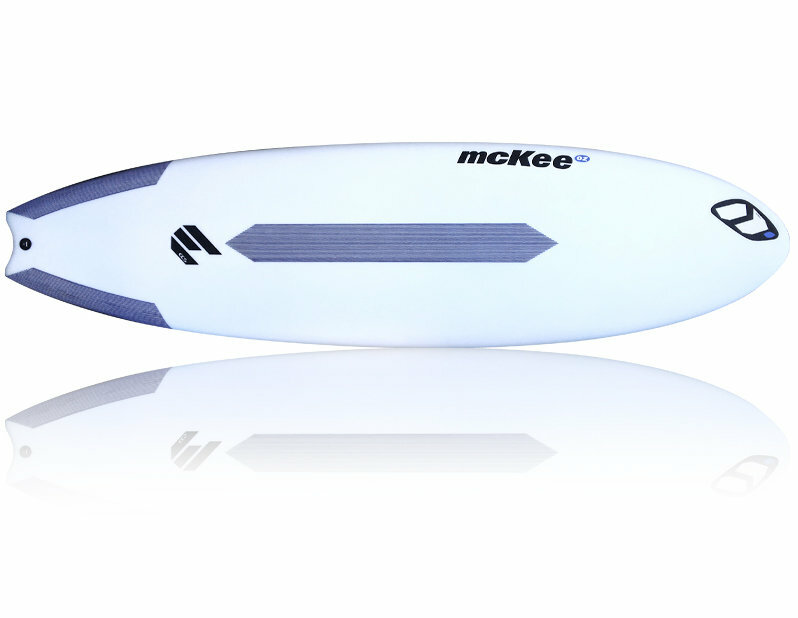 The Moonshine has the McKee M5 Multi-system fin option meaning Quad, Thruster or hybrid potential.